ALTE has produced many guides and reference materials, in a range of languages. They are all free to download. We would like to provide our resources in as many languages as possible. If you are able to provide a version of a document in another language, please contact the ALTE Secretariat. 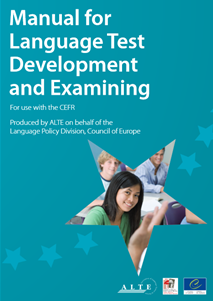 The "Manual for Language Test Development and Examining" (2011) was produced by ALTE on behalf of the Language Policy Unit of the Council of Europe. This manual is for use with the CEFR and it is available in Basque, Dutch, French and German. 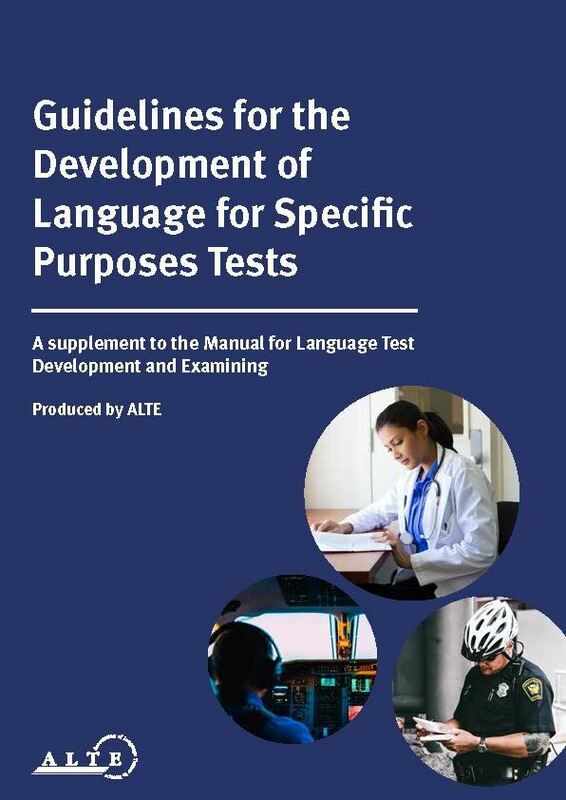 The "Guidelines for the Development of Language for Specific Purposes Tests" (2018) was produced by ALTE as a supplement to the 2011 Manual for Language Test Development and Examining. The production of the Guidelines was co-ordinated by the LSP SIG. 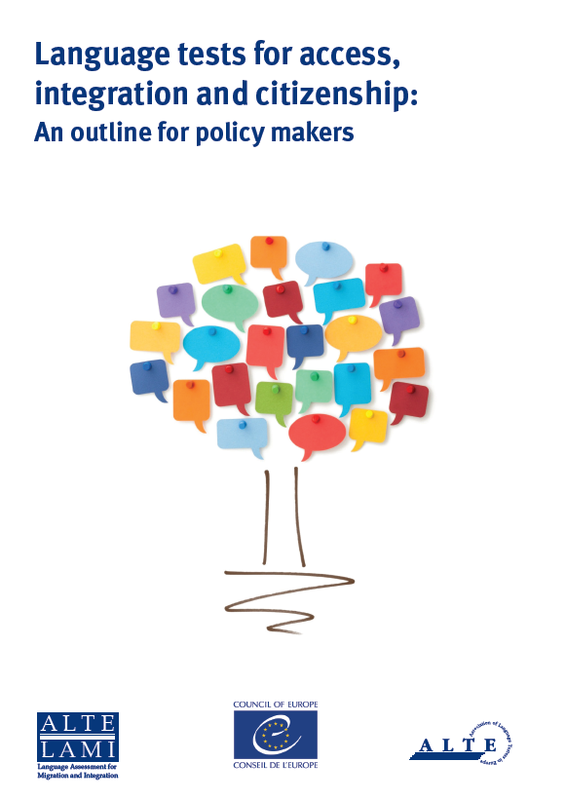 This booklet (2016) was produced by the LAMI SIG on behalf of the Language Policy Unit of the Council of Europe. It is currently also available in Italian and Finnish. ALTE contributed to the Council of Europe's Manual for 'Relating Language Examinations to the Common European Framework of Reference for Languages: Learning, Teaching, Assessment (CEFR) and produced Content Analysis Grids (2014) for Speaking and Writing (analysis and presentation). All of these are available on the Council of Europe's website. ALTE has established a set of common standards for its members’ exams (2007), which cover all stages of the language testing process: test development; task and item writing; test administration; marking and grading; reporting of test results; test analysis; and reporting of findings. See our Setting Standards page for more information. Our 17 Minimum Standards are available in a range of languages. The PfA (latest version - June 2018) was produced by the QMS Working Group and contains all the detailed procedures for auditors and for organisations being audited. ALTE's Code of Practice (1994) sets useful guidelines for language testing. It is available in a range of languages. The ALTE "Can Do" project developed and validated a set of performance-related scales, describing what learners can actually do in a language (2002). The project contributed greatly to the development of the CEFR and is acknowledged in Appendix D of the 2001 CEFR document. 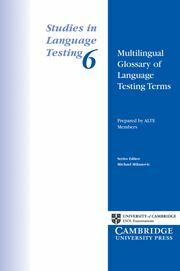 This set of materials (2005) was designed to help in training anyone who is involved in any part of the process of developing, writing, administering and reporting the results of tests of a language learned as a foreign language.